Are you tired of not finishing songs? Most people who get "writers-block" have no idea what motifs are. "Motifs" are small musical patterns that help you write great music. In fact, the greatest songwriters use motifs, and if you're not using them you're missing out on a very important tool. That's why this website is full of musical patterns that'll give you years of instant-inspiration and help you breakthrough "writers-block" forever. Now you'll be able to finish one great song after another. There are hundreds free for download. So choose a library below and get ready to finish your next masterpiece! Arpeggios are "the motifs of harmony". And that's why arpeggios are some of the best motifs in the world. They outline the chords and this library is overflowing with them. 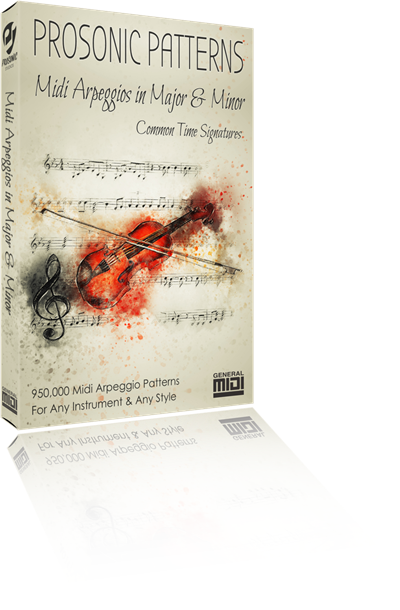 This arpeggio patterns library is like a mojo-bag where you reach in and pullout new ideas that spark your musical imagination. They'll help you create new bass-lines, acoustic guitar ballads, or even counter-point violin quartets, and they're awesome for EDM and techno! Click here and get your free downloads to start. "Great harmony is the foundation of great music." And it's true; if you don't have a great chord progression then the rest of your song isn't going to sound great either. But, harmony is hard. 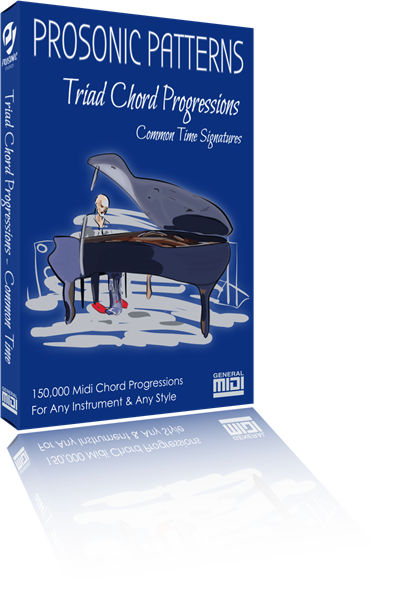 You could spend years trying to find great chord progressions, but why? Why reinvent-the-wheel when this library is already packed with instant-inspiration and new ideas, ready to spark your creativity right now? I spent years making this library so you don't have to. Choose a library and get your free downloads to start. "If you want great songs, you'll need great beats." 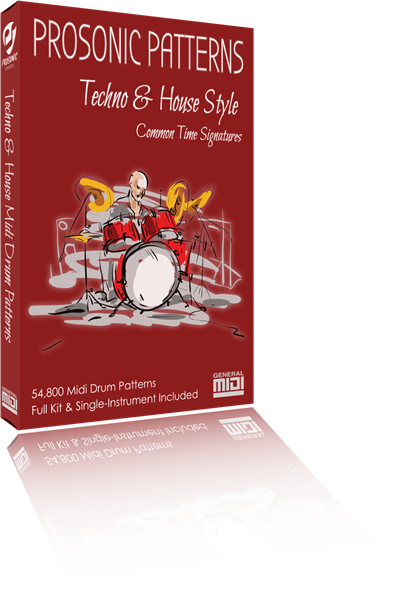 Learning to make great drum beats can take years, and if you aren't a drummer, why spend all that time? This library is packed with over 25 years of experience that will save you time right now! It contains thousands of rhythmic patterns in over 20 styles: Blues & Rock-n-Roll, Country & Folk, Funk, Hard Rock, Heavy Metal & Punk, Jazz & Big Band, Latin & Salsa, New Age, Pop & Soft Rock, R&B & Soul, Rap & Hip-Hop, Reggae & Ska, Techno & House. Choose a library and get your free downloads now. If you play guitar, bass, or piano you just found the Ultimate "Music Patterns Book"! Prosonic Sessions is filled with thousands of chord progressions and melodic patterns all waiting to be explored and added to your music. Signup and get your free account now. 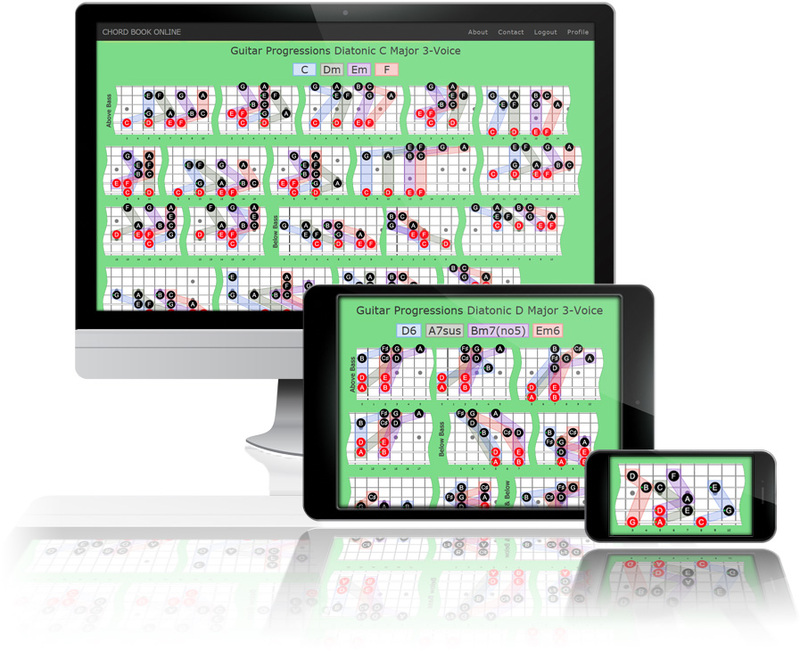 "Never buy a paper chord book again..."
Chord Book Online is a revolutionary new chord book showing where all the chords are located on guitar, bass, and piano. 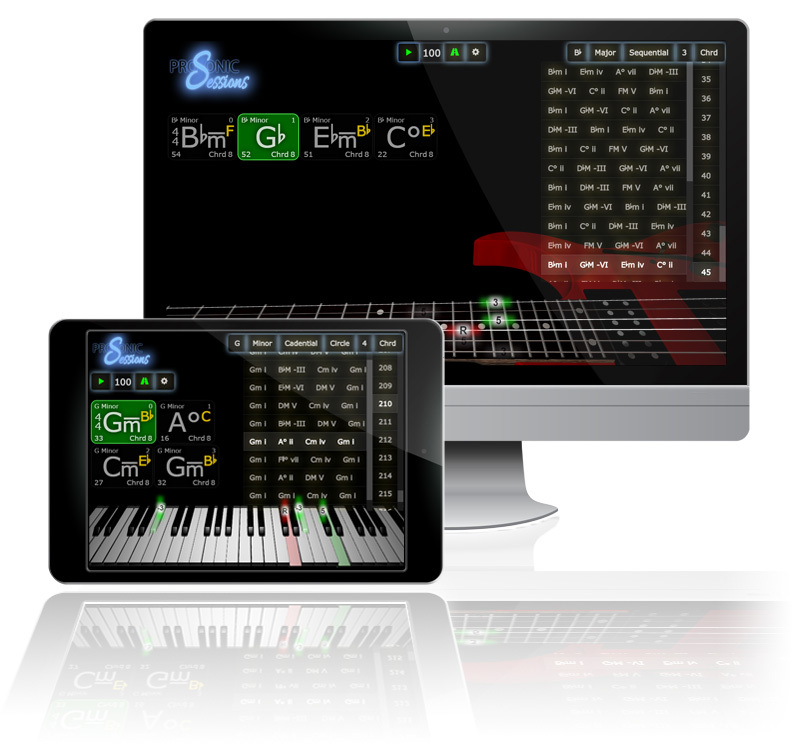 It's also the largest Chord Progression Book in the world, where you can view and hear thousands of professional-quality chord progressions on any device, computer, iPad, or phone. Get the last chord book you'll ever need.